I’ve met so many teachers just like you–hard-working, dedicated professionals, people who care deeply about giving their students the academic tools to succeed and prosper. I applaud all of you. I understand first-hand how difficult a classroom can be. Sometimes, there are more hidden landmines in the halls of a school than in the fields of a war torn country. I can’t tell you how much I respect each of you for your patience, commitment, and courage. I know there are probably moments when you feel frustrated and helpless. What too many parents and students tend to forget is that teachers are human, too. They’re far from indifferent to the pain and hurt they witness all too often in the classroom. I remember my teachers. Each of them did their best and I thank them for that. But there were only a few who I can honestly say made me who I am, who filled me with pride and purpose, whose words, though spoken years ago still resonate with me today. Why did only a few make such a difference, even though all of them put so much heart into teaching my fellow classmates and I? They realized that school wasn’t just a place for academic lessons, and that ultimately, it would be the life lessons students learned at school that they would carry most into adulthood. These were the teachers who taught me as much about compassion and strength as they did quadratic equations, who showed me the path to self-respect as eagerly and effectively as they pointed out the path to the War of 1812 or the road to the industrial revolution. Why am I telling you this? Because the greatest life challenge every child faces the moment they board the school bus is the need to fit in. I’m not telling you anything you don’t already know. Kids need to be accepted by their peers the way you or I need food and oxygen to survive. But fitting in is not without its perils. You’ve seen it a million times. One of your students is branded the outcast by the cool crowd. Perhaps it’s the chubby kid with glasses, or the shy geek who sits at the back of the class. Maybe it’s even a gifted student, someone who’s so far beyond her years that she inadvertently alienates her classmates. You watch as these sad, lonely misfits get picked on, laughed at, and tormented day after day by the popular crowd. You’ve tried everything to help. You’ve sat down with the dean, the principal, the school counselor-to no avail. You’ve talked with the parents of the victims, the parents of the bullies. You’ve told the victims that they should ignore the teasing, that they were being abused because the other kids were jealous of them. Yet, despite all your efforts, you can’t stop the abuse…or the pain. So, now, you find yourself on this website, hoping that maybe you’ll get the answers you’re looking for, or at least, comfort and validation. I’m so glad you’re here. I can help you. I know precisely what the outcasts in your classroom are going through. From 5th grade through my senior year of High School, I lived in fear. I was different than the other kids at school. I couldn’t do the things you have to do to be considered cool. I didn’t want to make fun of the special ed students, humiliate my teachers, or smoke cigarettes in the bathroom. If I saw someone being made fun of, I would stand up for them. Great qualities to have when you’re an adult. Not so great when you’re a kid. As a result, every day of school was a living, breathing hell. The popular kids physically beat me, laughed at me, teased me-their cruelty knew no bounds. 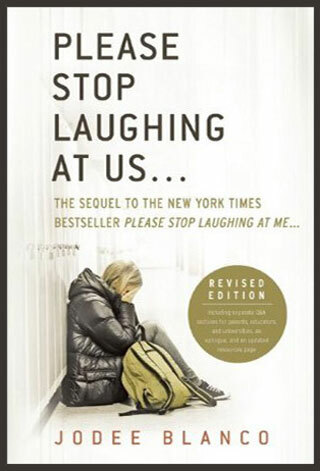 In my New York Times best-selling memoir Please Stop Laughing At Me…, I describe what I went through and how I survived it. It wasn’t easy reliving my past, but I’ve been helping thousands of kids, parents and teachers since the book’s release, and that makes it all worth it. Now, I want to try and help you. Outlined below is advice that I share with teachers and educators at workshops and speeches I give at schools throughout the United States. This advice isn’t based on academic knowledge. I’m not a psychologist or mental health professional. What I am is a SURVIVOR. I remember how my teachers responded to my pain and circumstances. I remember the initiatives they took that were effective and why, and those that didn’t work and why. I wish when I was going through it all, there would have been someone like me back then telling my teachers all those years ago what I’m telling you right now. I give you the benefit of my experience. I hope that somewhere in my observations, you discover some of the insights and answers you seek. This is what you should say to your bullied student and do: Step one: Say, “I don’t know how you feel. I can’t imagine what you’re going through. It must be awful.” Step two: Say, “Let’s talk about an action that we can take together today to address the challenge that you’re facing.” Step three: Contact the local park district, public library, community center and private outlets like martial arts centers, dance studios, etc. and ask them to send you a list of their youth programs. Make sure you research outlets far enough away that it will ensure the kids participating attend a different school. Focusing your efforts one town over usually works best. Review this information with your student and help him choose something he can participate in. Step four: Contact the parents and explain from a constructive point of view so as not to put them on the defensive that their child has been encountering some challenges but that both you and their child have come up with some exciting solutions that you’re eager to share with them. Before you let any student confide in you, close your eyes and visualize that you’re switching hats from that of teacher to friend, and promise yourself that no matter what you hear you’ll approach it from the perspective of an ally, and not the stance of an authority figure. Don’t chastise an Elite Tormentor in front of the entire class. Devise an excuse to pull the victim out of the line of fire and then approach his assailants individually at a later date. n a notebook each evening how the recipient responded and how the response made him feel. Make sure he has each recipient sign and date his entry and include a phone number so you can verify your student’s compliance in this exercise. If the student is remiss, then use traditional punishment as a consequence. Remember, the bully and the victim are flip sides of the same coin. Both are bleeding emotionally, both need love and support. When approaching the bully, begin the conversation on an encouraging note with something like, “Brandon, I enjoy being your teacher and I know you’re a really good kid, that’s why it surprised me when you… ” Then, launch into the issue you need to discuss, trying to be as general as possible and only using the victim’s name if there’s no other alternative. This will help to prevent retaliation later on. If you’re a teacher trying to help a student and administration is giving you the runaround, plead your case to the school board, and if that doesn’t work, contact the education reporter at your local daily paper. Conversely, if you’re a principal struggling with a tenured teacher who’s a bully, keep going up the chain of command until someone pays attention, even if that means turning to the press yourself. Try to creatively incorporate anti-bullying messages into your required subject matter. For example, if you’re teaching students about the food chain in science class, add a quiz question that asks them to compare the social environment at school to the food chain. You can also have students study great leaders in whatever subject you teach who were maligned and shunned for being different or ahead of their time. 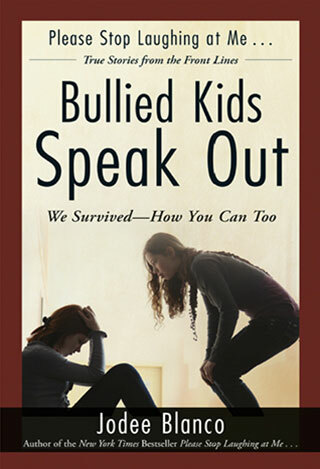 Their life stories will inspire students who are being bullied, and help to ignite spirited discussion. Develop a code of conduct for your classroom and reward those students who uphold it. Never forget why you became a teacher, and don’t let government policies, administrative bureaucracies, or anything else get in the way of your love for your students or your commitment to protect and empower them. And if you’re an Adult Survivor of Peer Abuse yourself, don’t minimize what happened, find a therapist and talk about it so it doesn’t hinder you as an educator. Sometimes emails go into our Spam filter. If you don’t receive a reply within 24 hours, please call Jodee, leave a message and she will get right back to you. Bullying isn’t just the mean things you do, it’s all the nice things you never do. Never including someone, even if it’s not intentional, is still bullying because someone’s getting hurt. Something doesn’t have to be on purpose in order for it to be mean. Don’t change for anyone. It is those who are hurting you that need to change. The bully never remembers, the outcast never forgets. 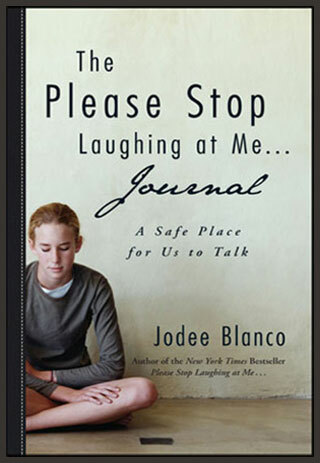 © Copyright The Jodee Blanco Group, Inc. This Copyright and each Trademark is strictly monitored and enforced. Reprinting and distribution of this material is granted when requested in writing only. It is expected that Ms. Blanco be named as the source for any information from this site quoted or referenced. The Jodee Blanco Group respectfully requests that you honor these United States Government registered pages with your integrity.